Successful business owners do more than just sell products and services – tasks such as budgeting, accounting, and bookkeeping are critical to maintain the financial health of your organization. The professionals at LMR & Associates will help you successfully manage these functions and allow you to focus your limited time and resources on growing your business. We do much more than simply organize your spreadsheets by providing you with targeted reporting and individualized advice that helps your business maximize growth potential and remain financially organized. Take a minute and contact us today at (734) 266-8120 to learn more. Our complete list of accounting services is provided below – let us customize a package that suits your business needs. 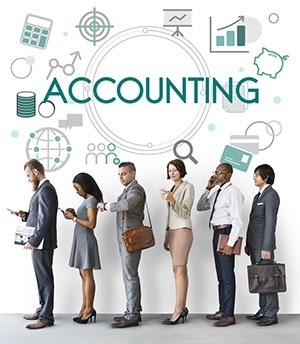 Our team provides the highest quality accounting and bookkeeping services for small to midsize businesses. We’ll take the time to understand and communicate with you regarding your financial situation and provide the most efficient, cost-effective bookkeeping and cash flow management services. We’ll work with you to select the best version of Quickbooks to meet your individual business needs, install the necessary software, and deliver continuing support to troubleshoot problems and answer any questions you have. New business owners face a host of challenges as they identify and address critical financial decisions during the creation and startup of their organization. Our team can assist you with tasks including development of a business plan, qualifying and securing a loan, and choosing a structure that leverages the greatest number of possible tax benefits. Your business is more than spreadsheets and bottom lines. Let us partner with you to understand not only your products and services, but also the motivation behind your organization and how we can help foster innovative concepts to drive continued growth and success. Your personalized financial plan will help guarantee financial security and asset preservation for future generations. Our significant experience in retirement, estate, and college savings planning will let you focus on today, with the knowledge that tomorrow is secure. If you are considering a merger or acquisition, we can help guide you in obtaining accurate estimation of the value of your business for litigation or insurance purposes.